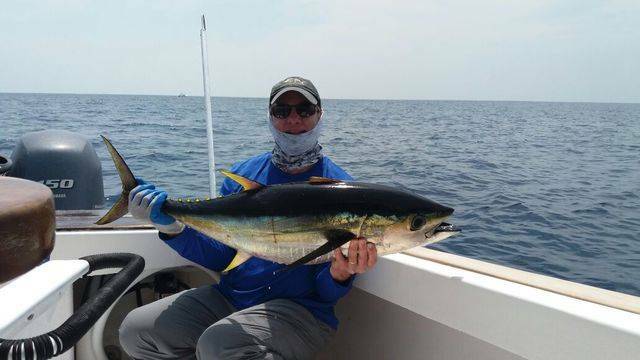 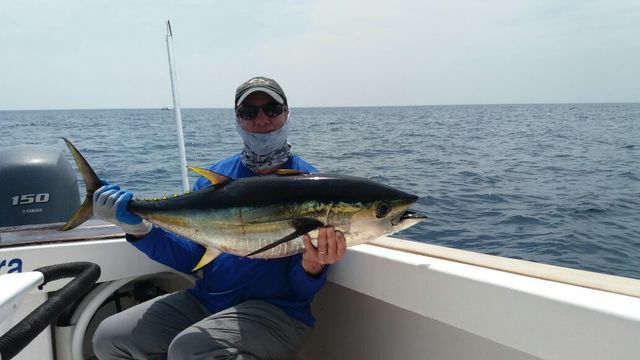 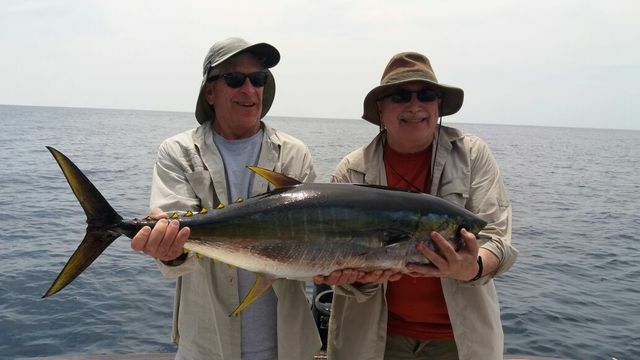 Rick Yacowitz and his posse had a fun day on the Discoverer with great action both inshore and offshore. 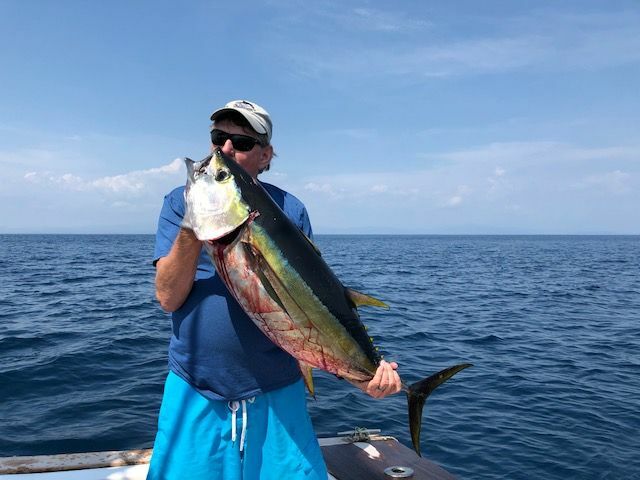 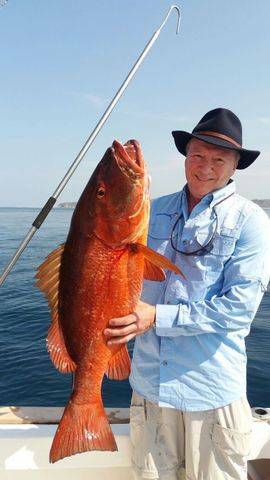 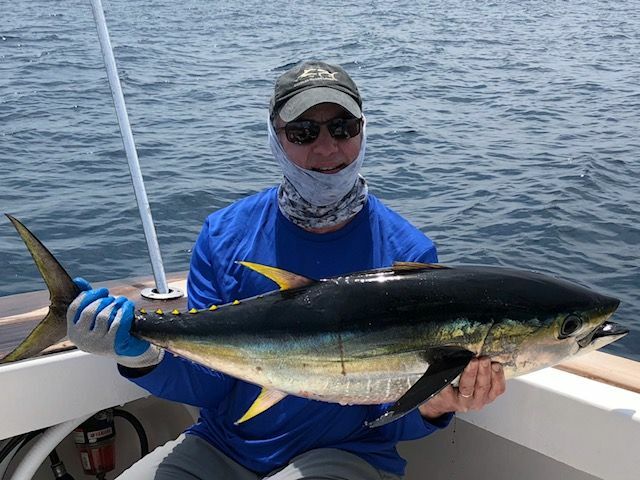 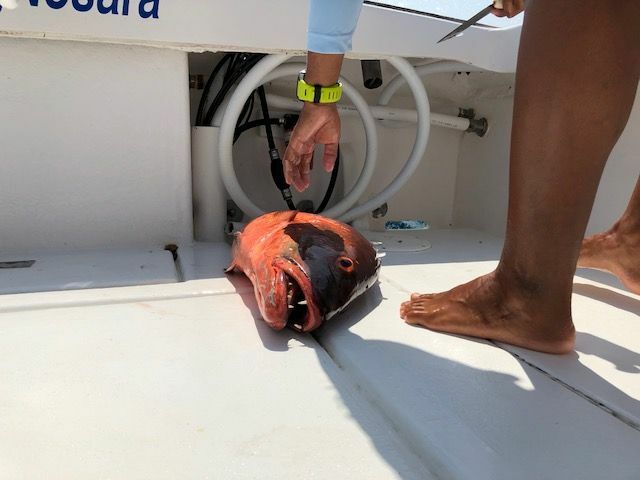 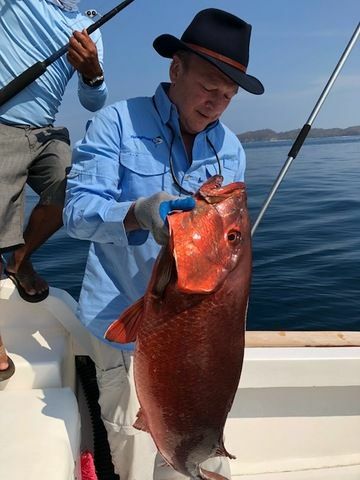 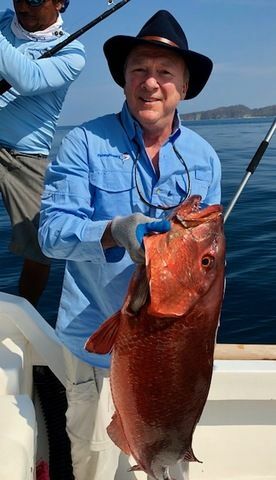 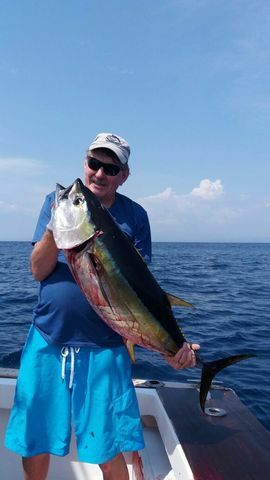 These BIG Yellowfin Tunas were the fruit of their morning offshore, and in the evening they came inshore and scored this excellent Cubera Snapper. 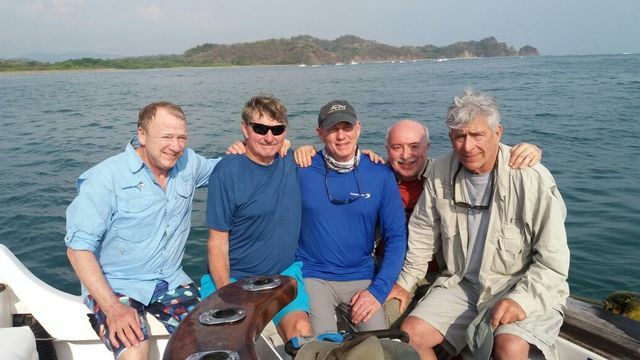 Great work by these fun-loving anglers.